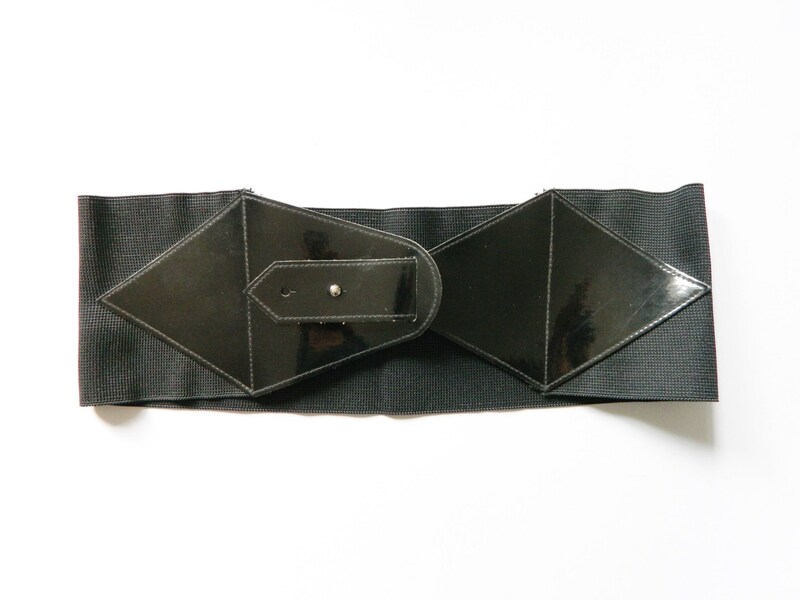 Great wide stretch belt in black, partly in front with patent leather. The belt is stable and still well preserved. Fantastically of wide stretch belt in black, partially in front how Varnish. The belt is stable and in a good State.